Do you know about Mr Boie? 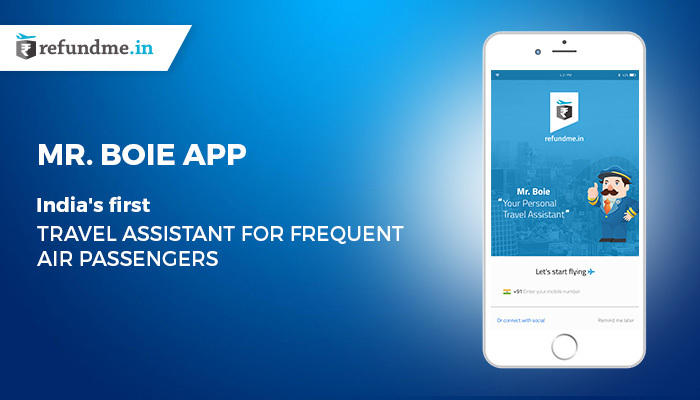 Do you know he is here with his app to make your travel path easy & hassle-free? Details about the world’s airport & airline information in a tap. Gives a clear preview of the real-time flight details. Gives options to book a pre-meal, cab, lounges and many other facilities before the arrivals. Have concise methods to manage travel documents digitally. Have sorted mechanism to track down the expenses. Gives timings about terminals, arrivals & departures. Creates trips/any unplanned journey in an easy manner with a to-do checklist. Have components to access the probable flight delays to look for alternatives. Have a clear and concise manner to evaluate the cancelled/delayed compensation value to claim for it. What else am I going to benefit with by downloading this app? Any pro-tip for maybe first-time travellers or while travelling to a new city. Flight status & flying conditions in a certain scenario, beforehand. Connect & socialize with fellow passengers and form a new travel gang. Hope you had enough reasons to understand why this app should be on your mobile phones right now. If you love travelling or are someone who always prefers air travel then this app is for you. What is the wait for? Download the Mr Boie app right now! Mr Boie app on App Store. Mr Boie app on Google Play Store.